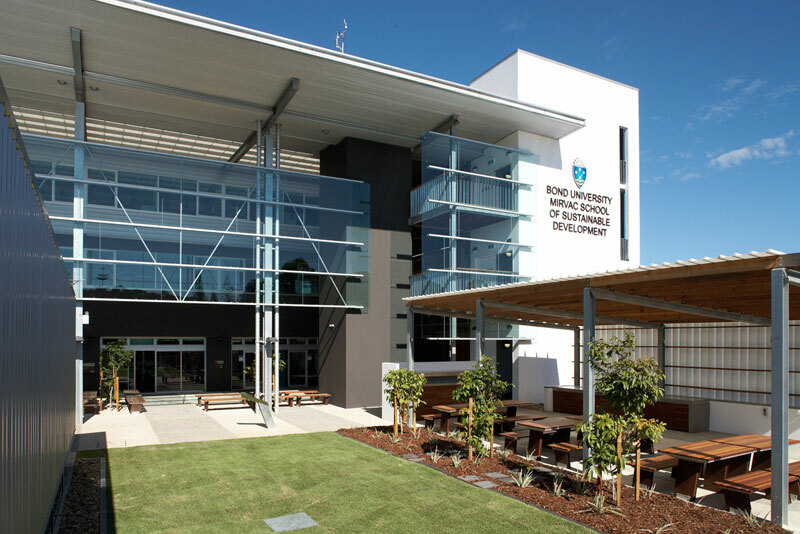 Bond University has announced that it will open a new School of Architecture specialising in ecologically and socially sustainable design, to meet the growing demand for sustainably built environments. The School, which will be named the Solheil Abedian School of Architecture, will open in January 2011. It will be located in the 6 Star Green Star design rated Mirvac School of Sustainable Development building  Australias first higher education building to receive the elite design rating. Professor George Earl, Head of the Mirvac School of Sustainable Development, will oversee the establishment of the new school. He explained that students would experience first-hand the benefits and requirements of a sustainably designed building, with classes taking place in the Mirvac building, adding that the University aimed to become world leaders in producing graduates that are qualified in holistic sustainable architecture that is of international standard. The new school is the result of a generous gift from Soheil Abedian, founder of development company The Sunland Group, which operates in Australia and the Middle East. In recognition of Soheils generosity and standing as an exceptional architect, the School will be named in his honour, the University said. Abedian is an alumnus parent and long-time supporter of Bond University. The Sunland Group are the developers on projects including the Gold Coasts Q1, the worlds tallest residential tower; the Palazzo Versace resorts in Dubai and the Gold Coast; the Yve and Balencea towers on Melbournes St Kilda Road; and Circle on Cahill and Avalon towers in Surfers Paradise. A panel of industry experts, chaired by Abedian and including Chris Gee, the Gold Coast Queensland Government Architect, will establish the course curriculum this year. Fifty places for the six-semester undergraduate program will be offered when the school opens in 2011. Students considering the Bachelor of Architecture program at Bond can call 1800 074074 or visit [“www.bond.edu.au/architecture”:http://www.bond.edu.au/architecture] for updates on course information.